Radia Clarifying and Softening Conditioner reveals a natural, healthy shine because its advanced technologies repair and soften hair fibers without leaving a residue. This conditioner can be used daily both to avoid the deposits left by regular conditioners and to repel the buildup of other styling products. Seals the hair cuticle to lock in moisture, strengthens and rebuilds strands. 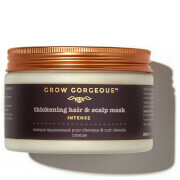 Protects hair from greasiness and environmental damages. Leaves hair softer, healthier and with a visible shine. Radia can be used as a daily conditioner, and its regular use means that other hair products can deliver their optimal effects as well. So users can enjoy maximum radiance and shine. Water, Cetearyl Alcohol, Behentrimonium Chloride, Cetyl Esters Wax, Amodimethicone, Keratin, Aloe Barbadensis Leaf Extract, Cetrimonium Chloride, Polysilicone-15, Caprylyl Glycol, Hydrolyzed Cashmere Keratin, Disodium Edta, Potassium Trideceth-7 Phosphate, Linum Usitatissimum (Linseed) Seed Extract, Althaea Officinalis Root Extract, Prunus Amygdalus Dulcis (Sweet Almond) Fruit Extract, Trideceth-12, Xanthan Gum, Methylisothiazolinone, Methyl Alcohol.